With the news that WordPress Photo Album plugin potentially contains a security vulnerability, I decided it was probably time that I took stock of my increasingly long plugins list and removed some of the outdated and superfluous items. One of the greatest improvements to WordPress of late has been the automatic update checks provided for plugins listed on the official site, which whilst by no means universal does at least mean that updates for many popular plugins will automatically be reported without the need to check up on each one manually. This little list of what remains represents some of the better plugins I’ve encountered. Articles – This plugin allows a list of ‘articles’ to be maintained, to keep a list of the most commonly read or best written posts in one place. The author also has a number of other handy plugins on his site. Currently disabled on this site since well written or popular posts are few and far between. Democracy – Adds that little widget on the sidebar to run a poll. Great functionality, employing AJAX to make it speedy and fun to use. Footnotes – Tiny plugin that allows <ref></ref> style syntax to insert footnotes in posts. 1Such as this one. Now powered using WP-Footnotes From the author of the brilliant Now Reading plugin. Language Switcher – Not actually used on this blog since it is written almost exclusively in English, but the author illustrates how to create a multilingual blog, and with a little help from this plugin enables authors to create multiple entries in different languages. Now Reading – Well designed plugin that integrates well into WordPress, displaying those current books on the sidebar, with those planned and previously read available on the library page. Quotes Collection – One of the more recent additions, this plugin allows you to store a database of favourite quotes and have them displayed randomly in the sidebar or wherever else the user wants within the WordPress loop. ShareThis – One of the more ubiquitous plugins out there, this plugin allows readers to easily shares posts with others via the many social networking bookmark sites. Probably extraneous on this site, but a decent plugin nevertheless. Viper’s Plugins Used – Not actually employed on this site, the plugin offers a list similar to the one I’m writing here. Viper’s Video Quicktags – An excellent plugin, allows for easy integration of videos from a variety of different sources, including YouTube/Google Video as well as local files in the usual formats. WP/GeoTrack – Neat little plugin which provides the output shown on the Visitors page. WP Dash Note – Ever find yourself needing to leave yourself notes on your blog? This plugin adds a tiny post-it note to the Dashboard of WordPress. Useful for those little remembers to finish writing your post on plugins. WP Photo Album – Very well written and simple little plugin for integrating a photo album into your site. Whilst the WPG2 plugin which works with the Gallery2 software obviously provides more functionality, for adding a few photos to WordPress with the minimum of fuss, this plugin certainly cuts the mustard, though note the recent security concerns. Advanced TinyMCE Editor – A fully featured addition to the standard WordPress editor, making it easy to format posts exactly how you need them. Unfortunately there still appear to be some compatibility issues with the aforementioned WPG2 plugin. Category Order – Installed this one a while ago when I had some issues getting all of the categories to appear on the WordPress sidebar, this might now have been superseded by inbuilt WordPress options, but for now it’ll stay put. Allows you to arrange the Categories in the sidebar exactly how you want. Get Recent Comments – Allows you to display the recent comments in the sidebar using your own preferred formatting. Google XML Sitemaps – To quote from the blurb “This plugin will generate a sitemaps.org compatible sitemap of your WordPress blog which is supported by Ask.com, Google, MSN Search and YAHOO”. ImageManager – Very handy little extension to the WordPress repertoire, allowing simple manipulation of imported images using ImageMagick amongst other things. Unfortunately seems to have some issues with one or other of my Firefox plugins and leaves some functions unusable, as the popup windows are badly sized, but works fine under Opera. Photo Dropper – Another new plugin undergoing a trial, this one offering to import Creative Commons licensed images from flickr.com directly into the current post, and attribute the necessary details. 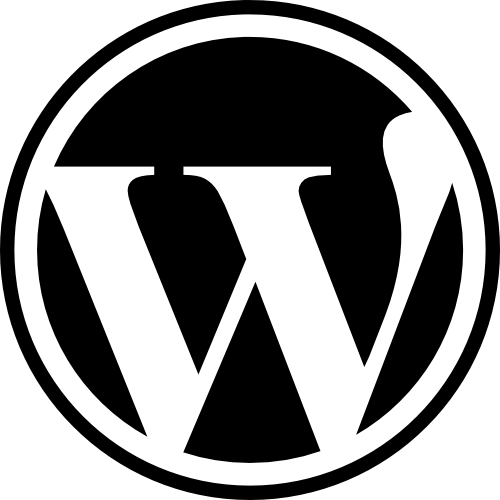 Simple Tags – Successor to the great Simple Tagging plugin of previous WordPress versions, this offers greater flexibility and functionality with WordPress 2.3’s inbuilt tagging feature. One of the must-haves. Tiger Style Administration – This plugin simply alters the look and feel of the WordPress admin section. Unfortunately looks slightly broken with recent WordPress or Firefox updates, not really sure which is causing the problem. TinyMCEComments – Provides a small TinyMCE WYSIWYG editor for the comments section. WP-Lytebox – Neat little plugin to implement the typical Lytebox system in WordPress, and can easily be fit to work with the WP Photo Album, amongst other things. Akismet – Simply a must-have, even on this small blog Akismet has managed to block over 10,000 spam comments of various kinds. Used in conjunction with the Bad Behaviour plugin below, I’m left only needing to review those comments left in the spam queue in case of false positives, which to date I don’t believe there has been. Bad Behaviour – Works on a number of other systems, purports to block robot-based spamming on WordPress, and at least according to the statistic printed at the bottom of the current theme, seems to be doing a good job. Feed Statistics – Neat little plugin to keep track of those feed subscribers without using an external service like FeedBurner. Also counts post views and outgoing links. GeneralStats – This small plugin counts up numbers of users, posts, comments, words in posts amongst other things. Does its job and satisfies some idle curiosity. StatTraq – A bit out-of-date now but still quite useful for checking page views and search criteria. Might replace this with the WordPress.com Stats plugin as I test that out over coming weeks.